If you see me on social media, you probably hear me bang on about doTERRA’s essential oils and how bloody amazing they are. So I thought I’d put pen to paper (well, hands to laptop) and tell you how they are supporting me, my voice and my family. I’m feeling pretty inspired to write this today because only yesterday the oils had an incredible impact on my Grandmother Mavis. Grandma woke up sick as a dog on her 80th birthday. We had a massive party planned for her in the evening, with family coming from all over Australia to be there. So on top of being sick, she was also anxious about the fact that she may not be well enough for her party. - Lavender (reduces anxious feelings). I mixed this with coconut oil and applied it to her chest, temples, behind her ears, and on her spine. Within ten minutes, Grandma’s stomach ache had gone and colour returned to her face. Within half an hour she was up, talking to the family and getting ready for her party. Speaking of her party, she was the last one to leave at 12 am! I can’t tell you what this means to me to see my family well and happy! My Mum for instance, who has struggled with her sleeping for a large chunk of her adult life, is now going to bed before 10 pm and not waking up until 7 in the morning. This has significantly improved her energy levels, not to mention her physical and mental well-being. As for myself, I find myself happier and healthier. I use my doTERRA Home Essentials Kit on a daily basis and take the Life Long Vitality Pack, which are doTERRA’s awesome supplements. I will write more about this in more detail but here is a quick snapshot of how I use the oils for my mental and physical health as well as to support my vocal health. 1. Every night before I go to bed I rub diluted DigestZen in fractionated coconut oil and rub it on my stomach clockwise. Why do I do this? For singers, acid reflux is a bloody killer for the larynx, in particular, the vocal folds. So to avoid this, I use DigestZen and so far, so good! 2. I’m OBSESSED with Frankincense! If you could own one oil, this would be your guy. He’s the King of all the oils because he comes with a string of benefits. Namely, he targets inflammation in the body. So I dilute Frankincense and Lemon in fractionated coconut oil and rub it on my throat every day. I’ve noticed massive changes in my vocal health! I don’t seem to experience as much fatigue as I used to. I have to point out however that consistent vocal exercises and staying hydrated are also important factors at play here. 3. I LOVE lavender. I diffuse it at night time and from time to time rub it on my throat region to relax my vocal muscles. I also put it on the side of my temples if I ever get a headache, which is becoming less and less frequent these days. It’s also now part of my skincare regime and is clearing up facial redness. 4. Peppermint has become my new afternoon coffee and has also replaced hay fever tablets. My hay fever used to be off the charts. Not anymore. But when it does flare up, I press a drop of peppermint oil on my hard palate, which relieves it almost instantly. When I experience an afternoon slump, I inhale a drop of peppermint as a pick me up, which will get me through a night of teaching. 5. On Guard has now become my natural cleaning solution and my saviour in the studio. I’m pretty much diffusing it in the studio every day to avoid germies. I use it too to clean my microphone after every student. It also smells like a natural version of ‘juicy fruit’. I could seriously keep going on and on about them, which, don’t you worry, I plan to do! For now, I want to alert you to the fact that with every Home Essentials Kit purchased before 1 January, you get a free bottle of Frankincense, which is worth $119. - An enrolment pack that entitles you to wholesale prices (25% off) for a year. So if you get in purchase the kit today or tomorrow, you get an addition Frankincense. All of this for $330. If you bought this all individually with the enrolment pack ($35), you’d pay $477. So this is incredible value! You also get a free 1hr Wellness Consultation with me, including access to an incredible member’s only Facebook group, with over 3000 members, for your ongoing oils support and education. You will also be a part of a natural wellness revolution that is, quite frankly, taking over the world. – Choose the Home Essentials Kit plus fractionated coconut oil. – Bob's Your Uncle! Your kit will arrive within 4-10 business days! 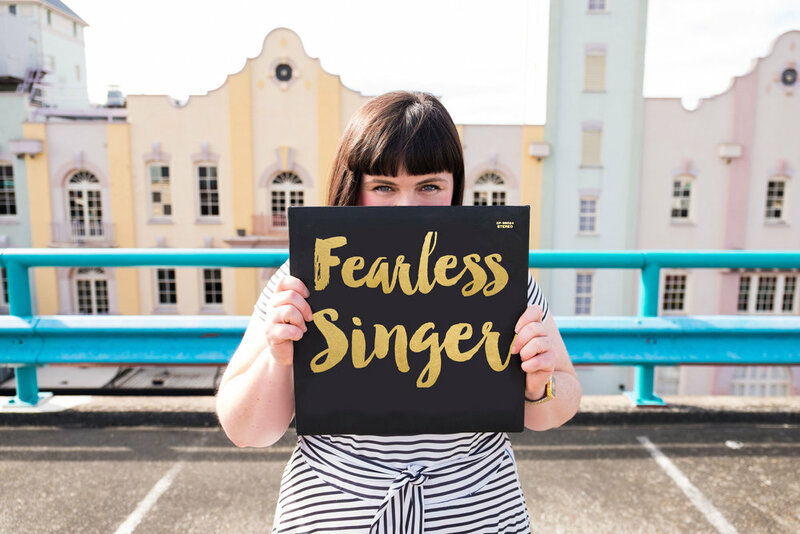 - Please shoot me a quick email to introduce yourself hello@fearlesssinger.com so I can organize your Wellness Consult and connect you with the members-only Facebook groups. If you need help with any of the above, please give me a call on 0447 016 546. Remember, you only have 24hrs to get the free Frankincense! I can guarantee you, you’re going to LOVE frankincense so you will be sorted for quite a while with two bottles! Happy New Year!! I will be in touch very soon!